Learn what spiritual assets are, and how they can be used in practice to build communities and strengthen community life. 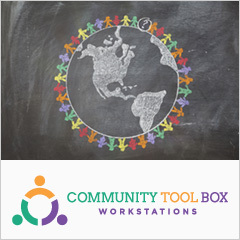 This and other sections in the Tool Box chapter on Spirituality and Community Building (Chapter 28) have been written with the support and contributions of experts connected with the Charter for Compassion International. For more information about the Charter and its work, visit www.charterforcompassion.org. Spiritual qualities and assets. In this chapter, our aim is to emphasize a certain subset of qualities or assets, and to explore their relationship to community building. Here we give them the label of “spiritual” assets, and we emphasize them because we think they are among the most important for community building. 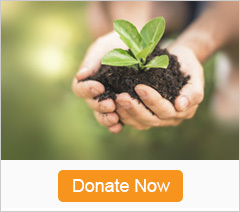 The Charter for Compassion supplies resources, information and communication platforms to help create and support compassionate communities, institutions, and networks of all types that are dedicated to becoming compassionate presences in the world. Community Building (Part 1) illustrates the importance of community- building in the Qur'an and Prophet Muhammad's efforts to put it into practice. See also Parts 2 and 3 of this series, as well as Al-Islam.org, a digital library of resources about Islam and Muslim people. Greater Good Magazine from the Greater Good Science Center, turns scientific research into stories, tips, and tools for a happier life and a more compassionate society. Karuna Center for Peacebuilding innovates approaches for transforming conflict across divides by supporting people in all sectors of society to discover their shared capacity for building peace. Parliament of the World’s Religions was created to cultivate harmony among the world's religious and spiritual communities and foster their engagement with the world and its guiding institutions in order to achieve a just, peaceful and sustainable world. The Center for Compassion and Altruism Research and Education investigates methods for cultivating compassion and promoting altruism within individuals and society through rigorous research, scientific collaborations, and academic conferences. In addition, CCARE provides a compassion cultivation program and teacher training as well as educational public events and programs. Armstrong, K. (2010). Twelve steps to a compassionate life. New York: Random House. Berkowitz, B. & Scott, V. (2015). 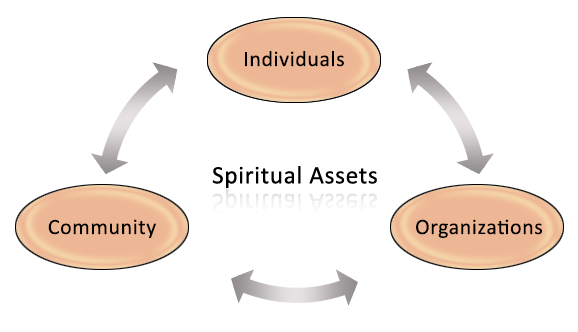 A vision for community psychology practice. In V. C. Scott & S. M. Wolfe (Eds. ), Community psychology: Foundations for practice (pp. 410-434). Thousand Oaks, CA: Sage. Chile, L. M. & Simpson, G. (2004). Spirituality and community development: Exploring the link between the individual and the collective. Community Development Journal, 39(4), 318-331. Dass, R., & Gorman, P. (1985). How can I help? Stories and reflections on service. New York: Knopf. Jason, L. A. (2004). Community building: Values for a sustainable future. Westport, CT: Praeger. Lopez, S. J., Pedrotti, J. T., & Snyder, C.R. (2014). Positive psychology: The scientific and practical explorations of human strengths (3rd ed.). Thousand Oaks, CA: Sage. Manuel, F. E. & Manuel, F. P. (1979). Utopian thought in the Western World. Cambridge, MA: Belknap Press. McKnight, J. & Block, P. (2010). The abundant community: Awakening the power of families and neighborhoods. San Francisco: Berrett-Koehler. Moon, S. (Ed.) (2004). Not turning away: The practice of engaged Buddhism. Boston: Shambala. Todd, N. R. (2016). A community psychology perspective on religion and religious settings. In M. A. Bond, I. Serrano-Garcia, and C.B. Keys (Eds. ), Handbook of community psychology (2nd ed., Vol.1, pp. 437-452). Washington, DC: American Psychological Association.